On Rockman Unity, Ucchy-san is teasing the above photos of the upcoming Rockman Zero Zero S.H. Figuarts figure. As it's only a prototype, little is known about when it will hit retail. Nevertheless, things are looking promising so far. Head to Rockman Unity for more images. For those curious, yes; the S.H. Figuarts label is intentional. In recent months, Bandai has merged the D-Arts brand with the S.H. Figuarts label.Products that would have fallen under the D-Arts banner will now be released under the S.H. Figuarts line starting in April. Figure articulation and general engineering will not be impacted in any way. I dunno... maybe so people can get a sneak peak of what it'll look like..? Just a wild guess. 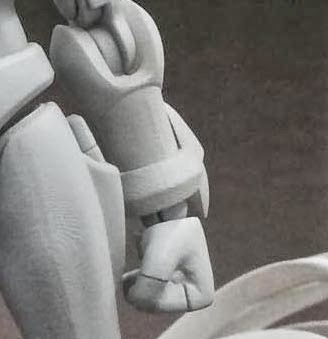 So they aren't releasing it under the "D-Arts" label? Bandai merged the "D-Arts" line with their regular "S.H. FiguArts" line a couple of months ago. S'why stuff like Lucario and Mario aren't D-Arts figures either. Looks fully articulated. Is that a first for Figuarts? Figuarts are normaly extremely articulated. The Sigma statue thing was a rare exception. 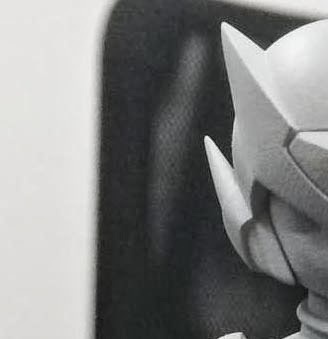 I am surprised this is going to be a Figuarts instead of a D-Arts, but considering the overall scale of the Megaman Zero design, it does make sense. He's still the last design I wanted to be the next figure. So disappointing. Are Figuarts and D-Arts that much different in size? I wanted to get a Green Ranger next to my MMX figures but if they clash in size I may think it twice. Figuarts have always been fully articulated. It's Figuarts ZERO -- their line of detailed statues -- that are unarticulated. D-arts are typically bigger than Figuarts. Not by much, but still noticeably so. A green ranger Figuarts next to a Megaman X D-arts will look pretty badly out of scale. That being said, the scarves from the Kamen Rider The First Figuarts WILL fit on the Megaman D-arts line, as I've demonstrated before. Looks like a good mold to me. 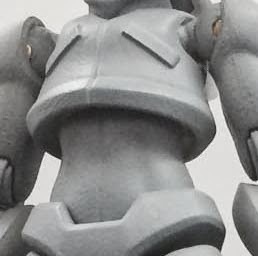 I guess people who were looking to replace the big-headed Kotobukiya will not be disappointed. Meh... Not appealing to me. I would rather have a Vile MkII than this! Like you know, a VILLAIN!!!!! But I will admit that it looks a bit more better than the Kotobukiya Zero, but this one seems off to me too. I think the proportions of the legs are too long. Head looks in scale with the body than how the Kotobukiya was, but the helmet seems like too small. And I know its supposed to be articulated, but man the joints are very noticeable! Not liking this. Waste of another potential character being made. I wouldn't be surprised if this kills the line as what happened to Kotobukiya. Not looking forward to this. To be faur, most of it is cut out and paint is usually used to hide joints.